Analyst Sees Too Much Emphasis on Payment for NFC Rollouts | NFC Times – Near Field Communication and all contactless technology. The industry should focus more on NFC's ability to connect the physical and networked worlds, rather than planning to use the technology to replace payment cards, according to Yankee Group analyst Nick Holland. While NFC holds great promise, and 2011 is shaping up as a turning point for the technology, the industry is focusing too much on payment as the major application for expected NFC rollouts. In it, he threw cold water on the notion that the technology will supplant payment cards anytime soon. "I don’t think payment is what NFC is about," Holland said. "For us to focus on payment, that’s the tail wagging the dog. It’s much bigger than just this card-emulation mode. It’s a component, but the cases we’re seeing are all about tag reading. That’s where we’re going to get the broad innovations–where the physical world around you is hyperlinked." 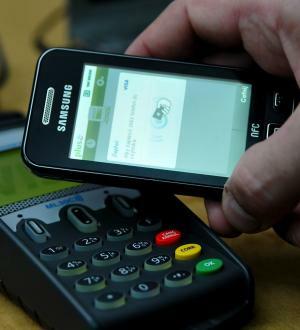 While NFC can work for retail payment, the barriers to its deployment on a large scale are formidable, Holland said­. They include an entrenched payments industry that’s developed a physical card-based model accepted by consumers and merchants alike despite its flaws, and a multitude of competing interests vying to get their NFC payments models established. These don’t bode well for the emergence of NFC as a widely used alternative to cards anytime soon. "NFC will have to be safer, more convenient, ubiquitous and faster than anything else out there, otherwise it won’t displace existing protocols," he said. "I think you’ll ditch your wallet around the same time you ditch your car keys." Holland noted some high-profile commercial initiatives, many centered on NFC-based payment, but he sees only pockets of promise. For instance, he takes issue with some who point to Google’s support of NFC in its smartphone operating system, Android, and in its new Nexus S phone as signs that the company will be laying the groundwork for a payments initiative developed around NFC. That would be significant, but Holland doesn’t see how the scenario plays out. "There’s a lot of noise about them becoming a competitor to MasterCard and Visa, but I think that’s nonsense, frankly," he said. "If 97% of your revenue is about advertising, is it in your best interests to go head-to-head with MasterCard and Visa, or to try to become the next PayPal? I think they are going to stick with what they do best." But Holland isn’t as dismissive of Apple’s interest in or ability to extend its reach into the payments sector. While uncertain as to whether Apple will incorporate NFC into its iPhone, he does see a scenario in which the company could mold its iTunes model into something resembling a payment platform that might have appeal for certain types of specialty retailers. "I think, unlike Google, Apple may have a play as a payment brand," he said. Both companies, as well as other commercial interests looking to tap into NFC’s unique capabilities, might want to look in a direction other than payment, Holland said. NFC’s real promise, at least in the near-term, lies in allowing people to interact with their physical environment. The ability to equip people with NFC-enabled devices that pull information off of tags on physical objects opens up a wealth of opportunities for bridging the gap between the physical and digital worlds and delivering information of all types and for a multitude of purposes, he says. "In reader mode you have a way of grabbing information from the world around you, and this I see as really where the majority of activity outside the payments field is going to be for NFC," he said. "Where you see something that’s NFC-enabled you have this way of interacting. It can be a call to action in the physical world, like a hyperlink in the HTML world, enabling you to get to other information." Google, notably, recognizes NFC’s promise in this area, Holland said. The first applications available on its new Nexus S handset revolve around pulling information off of NFC tags. And Google is running a test of its Hotpot location-based mobile app incorporating an NFC feature, enabling retailers to display stickers embedded with tags, which consumers can tap to pull down recommendations and reviews about the merchants. Both are examples of how NFC’s ability to “hyperlink the physical world” offers some potential commercial uses. NFC also is being used for information on demand in education, healthcare and transit, Holland noted. "As economies of scale kick in, there’s a potential for NFC to be in whole variety of objects, and to deliver the capabilities that allow people to interact with their environments," he said.